يقع فندق منتجع ذا آيلاندر نوسا، المصمم ليناسب كل الضيوف سواء كانوا من رجال الأعمال أو السياح، في مكان ممتاز في أحد أكثر المناطق تفضيلاً في هذه المنطقة. يمكن من هنا للضيوف الاستمتاع بسهولة الوصول إلى كل ما تقدمه هذه المدينة النابضة بالحياة. كما يمكن الوصول بسهولة إلى عدة معالم سياحية قريبة. كما يقدم منتجع ذا آيلاندر نوسا الكثير من الخدمات لإغناء رحلتك في المدينة. يمكن للنزلاء الاستمتاع بالميزات التالية: واي فاي مجاني في جميع الغرف, أمن على مدار 24 ساعة, خدمة غسيل ذاتية, مجهز لذوي الإحتياجات الخاصة, مرافق مخصصة لذوي الاحتياجات الخاصة أثناء إقامتهم في هذا المكان الرائع. استمتع بوسائل الراحة الراقية في الغرف أثناء إقامتك هنا. بعض الغرف تتضمن تلفزيون بشاشة مسطحة, مرآة, اتصال لاسلكي بالإنترنت, مروحة, اتصال لاسلكي بشبكة الإنترنت (مجاني) لمساعدتك على استعادة طاقتك بعد يوم طويل. إن جاكوزي, مركز للياقة البدنية, ساونا, مسار جولف - ضمن 3 كم, مسبح خارجي هو المكان الأمثل في الفندق للاسترخاء وتفريغ طاقتك بعد نهار طويل. اكتشف مزيجاً ساحراً من الخدمة الاحترافية والخيارات الواسعة من وسائل الراحة والمتعة في منتجع ذا آيلاندر نوسا. يُطلب رسم قابل للاسترداد بقيمة 200 درهم إماراتي عند تسجيل الوصول لتغطية أي مصروفات عرضية أو رسوم خلال فترة الإقامة. يلزم تسجيل السيارة في حالة استخدام ساحة انتظار السيارات. يرجى إخبار العقار بعدد الأطفال, و عمرهم, الوجبات, و طلبات الأسرّة الإضافية قبل موعد الوصول. Resort is nicely situated next to Noosa River, plenty of restaurants and shopping nearby, free tourist bus during holidays to Hastings Street and other beach areas, resort has 3 pools, tennis courts, gym and playroom, also has good restaurant open until 3pm, staff are efficient, accommodation is fresh, although beds and linen could be more comfortable. Surrounding birdlife may be an issue for light sleepers unless you are happy to rise early with the birds! Perfect position for young families. Rooms are big enough and have everything you need, a little tired but they are not $$$ so didn’t expect them to be. Only negative we had was that every room is meant to have a balcony or patio, ours was an unlevel area that two people struggled to sit at. And right on the driveway to the car park so our kids couldn’t sit out there at all as cars were too fast if our kids decided to walk out in the driveway area. Enjoyed a lovely time with great facilities on the premises. The apartment/townhouse we stayed in was comfortable, spacious and had its own garage. Good location, service and value for money. From check in to check out this places ROCKS! 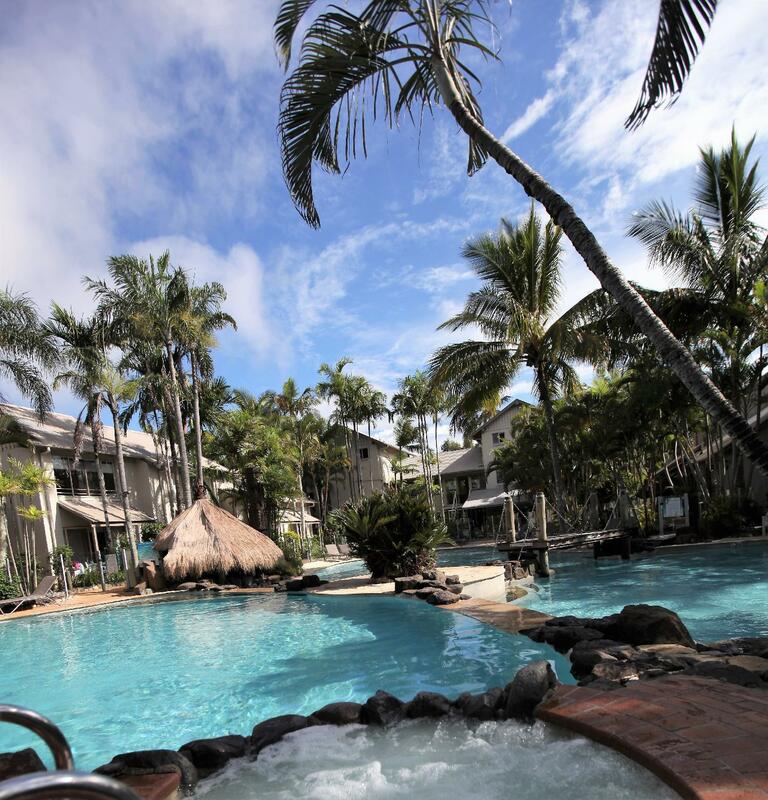 You must stay here for best value in Noosa! Loved the tropical vibe, great location. Great restaurants on doorstep. Friendly staff. Only negative was that the bed was too hard. We’ll be back! Dear Mrs Grant, thank you for the rating and for being our guest. Next time let us know about the bed. We can make a topper on the bed for you as all guests like different styles of beds so we carry these just for our guests. Bula Cathy and team. Staff were very friendly and helpful. The Islander is in a fabulous central location and is family friendly. Quick trip over to Noosa and l loved my stay here and l will be back next year.Staff were amazing and so helpful and room was great no 60 was 2 bedroom and so quiet at night .loved the 3 pools . Fantatsic Resort and the pools are a stand out feature. We have booked again for summer next year. Highly Recommend. Pool was awesome. Stairs with gaps between each was unsafe with kids. Step into bathroom also unsafe we all kicked our toes on more than one occasion. Location Great, air con good, kitchen good. My husband and I stayed at The Islander Noosa Resort for a wedding with a reception at The Boat House. 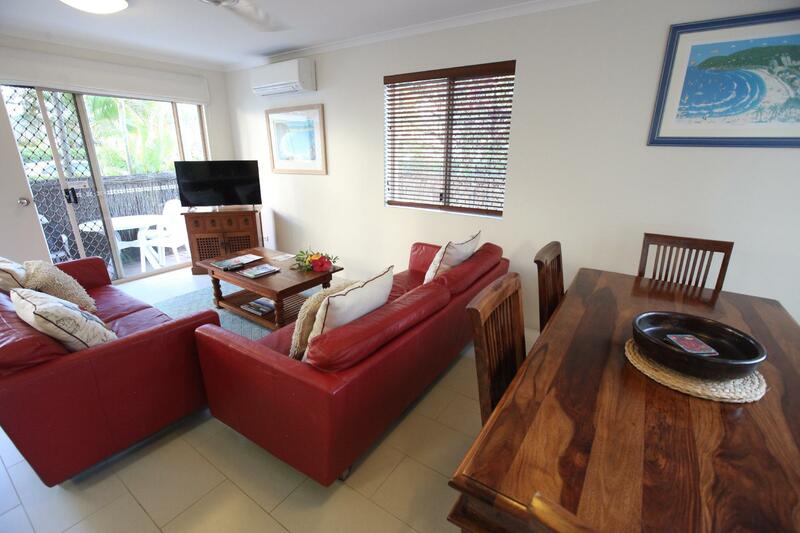 It is in such a great location...right on the foreshore of the river and next to a little shopping strip with beachwear and cafes in Noosaville. You can catch a bus in to Noosa for under $5 and it only takes less than 10 minutes and you don't have to worry about trying to find a park in town with the other millions of people. The resort is very nice. We LOVED the main big pool, that is pictured with the Bali hut spa, it was so relaxing to be surrounded by palm trees and waterfalls. We have young kids and can't wait to take them to the resort! There is a shallow area for little one's that gradually deepens. There is a cool BBQ area next to the pool with tables and chairs for families to make dinner and watch the kids swim. The unit we stayed in was a 2 bedroom one. 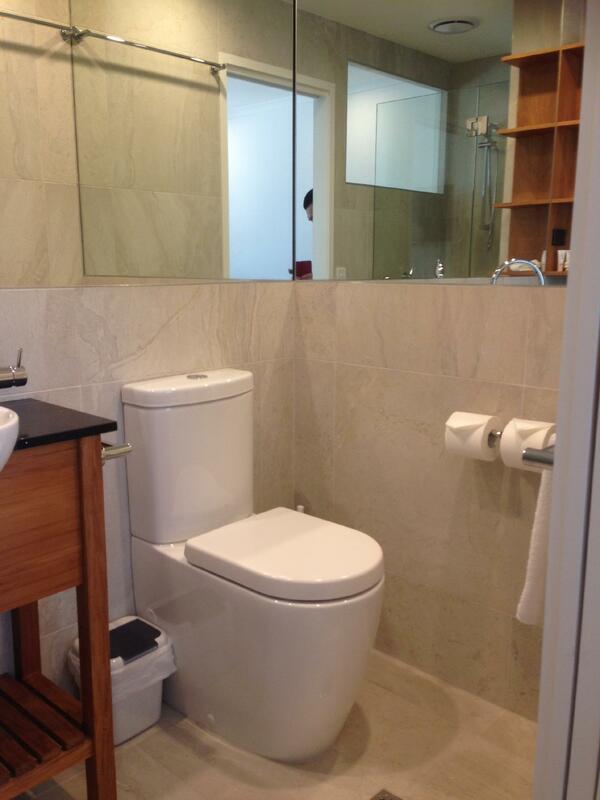 It had a recently renovated bathroom on the middle floor and everything was very clean and tidy. Great value for money. We had a wonderful family trip to Noosaville with our two young boys. The Islander was fantastic and we will definitely be back! 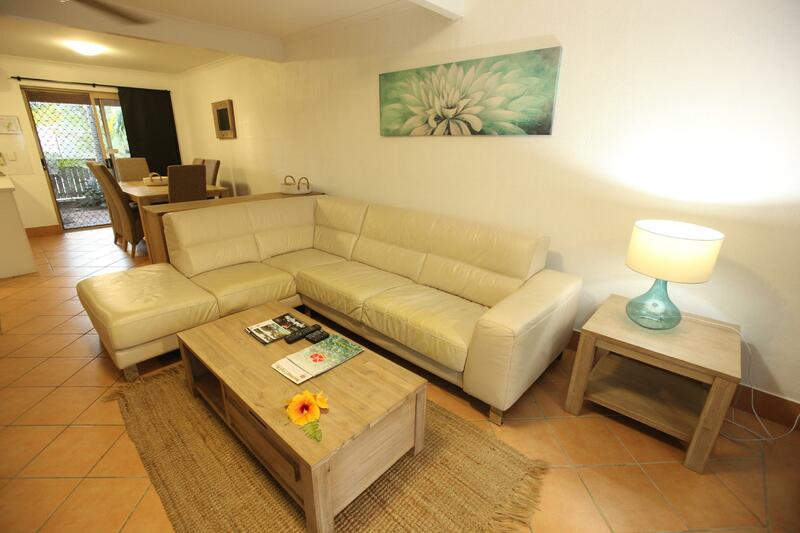 We stayed in a 2 bedroom villa and couldn't fault it - clean, comfortable with everything we needed during our stay. The boys loved the heated pool at the rear of the resort and with the river at the front door it was super convenient to grab a bite to eat and spot some pelicans whilst still being a short drive from the main beach at Noosa. All the staff were lovely but Cathy in particular was wonderful and assisted with a last minute request for a portacot which was much appreciated. Fantastic apartments in a great location. Kids loved the pools and moondoggys cafe. Ideal for a comfortable family stay and great for exploring the local area, lots of amenities close by. Great place to stay with parking and spacious accoms. Units are privately owned so are unique. Make sure if you are planning on cooking to request a unit with a full oven. Can't fault this place. We will stay again. The staff were very friendly and everything is on your doorstep! Check out the yacht club oysters!!!! Amazing! Great room, great location and great price. We were never notified of pool closure, and bond hold placed on my CC has still not been released 36 hours after my departure. When I asked staff about it the desk clerk was rude and unhelpful. Made for a very negative end to an otherwise lovely experience. The only thing that stopped me giving The Islander 5 stars across the board is the shoddy state of their WiFi. It was practically unusable in our room, and in any case the 2GB limit (for a week, not a day) made it a waste of time anyway. The TV reception was also way below par, but I can live with that. Otherwise, The Islander was fabulous. The room (a 3 bed apartment with a full kitchen and a garage!) was clean, and spacious, and well appointed. The beds were all comfortable. The air conditioning worked efficiently. The resort itself has great facilities, including three pools (one heated) with BBQ spaces and a games room (with slightly pricey $2 pool table but awesome retro video games). And the staff were incredibly helpful and friendly. I would definitely recommend it and will certainly stay there again in the future. Walking distance to lots of eating places and river activities. Noosa River tours depart across road. Be aware of noise in evening and daybreak from the lorikeets roosting in the trees surrounding the resort.